Cheyenne, a blind sixteen year-old, is kidnapped and held for ransom; she must outwit her captors to get out alive. Sixteen year-old Cheyenne Wilder is sleeping in the back of a car while her mom fills her prescription at the pharmacy. Before Cheyenne realizes what's happening, their car is being stolen--with her inside! 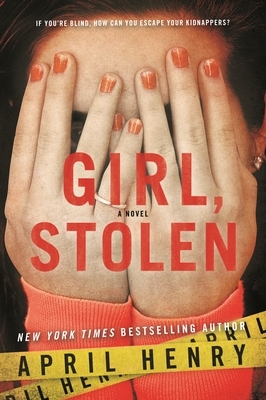 Griffin hadn't meant to kidnap Cheyenne, all he needed to do was steal a car for the others. But once Griffin's dad finds out that Cheyenne's father is the president of a powerful corporation, everything changes—now there's a reason to keep her. What Griffin doesn't know is that Cheyenne is not only sick with pneumonia, she is blind. How will Cheyenne survive this nightmare, and if she does, at what price?